We’ve several exhibitions kindly being brought to the event to entertain and educate you. How noble of us. Dr. Lucy Wright (ethnomusicologist and dialogical artist) will be bringing some examples of her study of Carnival or Fluffy Morris. Dr. Wright exhibited this at Cecil Sharp House in 2017, and we’re looking forward to seeing it in Nottingham. She calls it “This Girl Can. Morris Dance: Girls’ Carnival Morris Dancing from the northwest of England’. 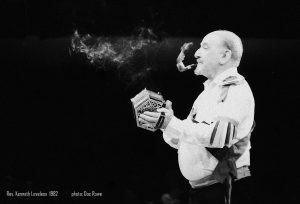 Phil Heaton has put together a wide selection of photographs and ephemera connected with rapper sword dance teams. The title is “The Traditional Rapper Teams of the N.E.”, and comes with a handbook no less. We are very lucky and grateful to be able to show you the Morris Federation‘s excellent display of the history of women in morris. From the Federation’s website – “It must be said that, while morris would appear always to have been a predominantly male pursuit, it was never exclusively so. 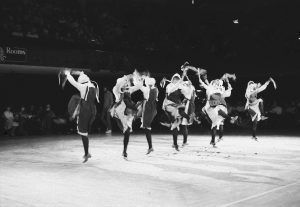 The idea of an organisation to provide information and moral support for newly formed women’s sides was first mooted in 1973 and, following a period of informal contact, the Women’s Morris Federation was officially inaugurated in October 1975. 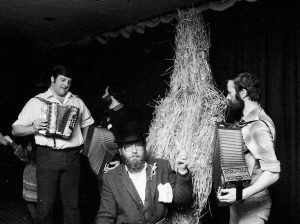 In 1980 it opened its doors to mixed sides, and it 1982 it became open to any morris side, regardless of gender. A year later, the word ‘Women’s’ was dropped from the name”. Both the Morris Ring and Open Morris (the other members of the JMO – Joint Morris Organisations) will be bringing some banners, publicity and information material for you to take a look at as well. Founded in 1934, the Morris Ring’s raison d’etre is to act as an association of some 180 Morris, Sword and Mummers Clubs and Teams keeping our wonderful traditions alive. They welcome any team who support the principles of the organisation. 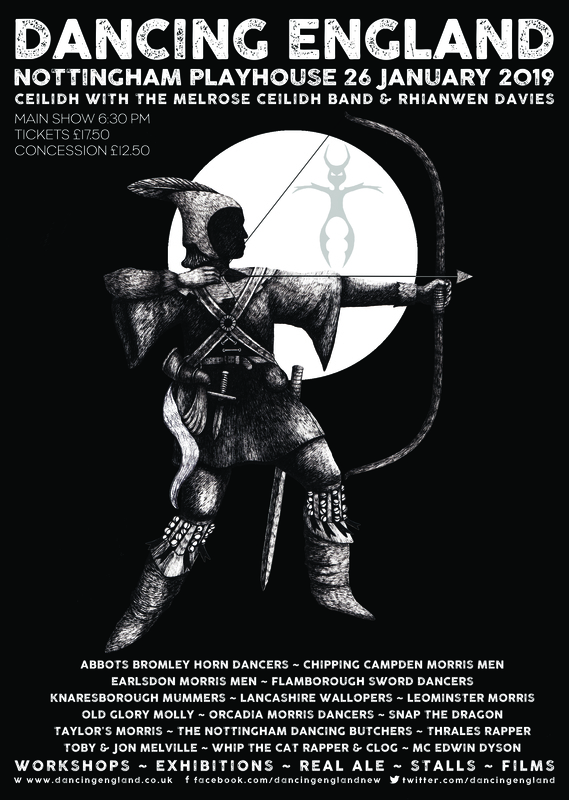 The Open Morris is open to any group or individual involved in the performance of Morris Dancing or allied activities. All sides are welcome – mixed, male or female, as are dancers or musicians who wish to become individual members. All three Morris Organisations have assisted with the development and promotion of Dancing England, and we would like to publically say thank you. The Foyer space is open all day and free of charge to get in. The workshops shops at 1:30pm with rapper, and beginners clog at 3:00pm. the stalls, exhibitions, and films (Doc Rowe) will be in place from 2:00pm. Do come along, take a look, and join in. We’ve approximately 100 tickets left for Dancing England 2019, it would be wonderful if, at our first time at the Nottingham Playhouse, we could sell out the event. We’ve some of the best Rapper, Longsword, Carnival, Border, Molly, North West, Cotswold, jiggers, mummers, and cloggers currently dancing in England right now. Joining them are some of our more strange and wonderful folkloric acts, one with a history stretching back to 1226 AD. 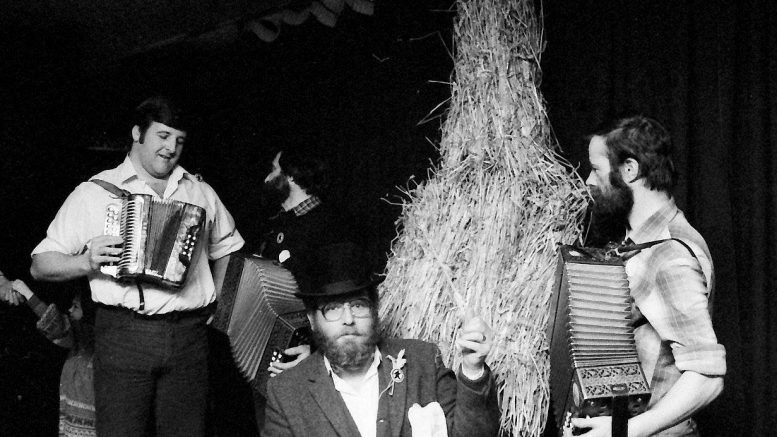 And last, but by no means least, we’ve the awesome Melrose Ceilidh Band to play for you at the end of show ceilidh, your caller from the dancing is the very able Rhianwen Davies. 2 Comments on "Exhibitions and more in the Foyer at Dancing England. Just 4 days to go."